To support firefighters in our neighborhood, we offer local fire companies the opportunity to host a Tip-a-Firefighter night at Applebee’s. Funds raised can be utilized to fund projects, equipment purchases, general operating expenses or educational programs the fire company conducts in the community. 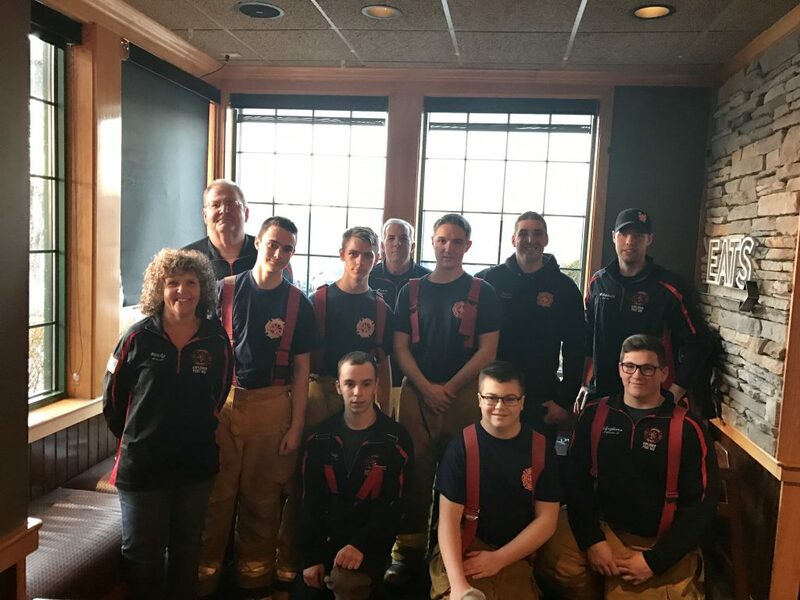 On a designated night from 6-9 p.m., firefighters will work alongside Applebee’s employees and help to deliver beverages, seat guests and clear tables. We will provide you with special “tip envelopes” to be handed-out to guests for donations along with donation receipt forms and a flyer template to promote your event. These fundraisers are a fun and effective way for fire companies to be involved in the community and raise some funds in just a few hours.